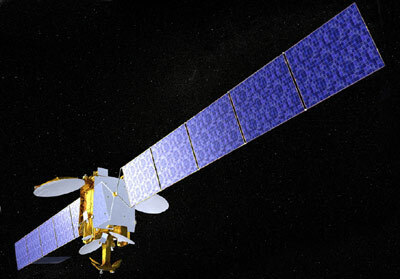 The high-power Hellas-Sat 2 spacecraft is a Eurostar-2000+ model equipped with 30 active FSS transponders operating in Ku-band, allowing the transmission of digital TV direct to home receive antennas as small as 60 cm. It has a launch mass of 3250 kg and an end-of-life power of 7.6 kW. Located at 39° East two deployable antennas provide Pan European coverage, including Greece, the Balkans and Eastern Europe, while two steerable beams can be moved to cover South Africa and the Middle East. Five companies are part of the Hellas-Sat Consortium: the Cypriot Company Avacom Net, the Hellenic Telecommunications Organization, the Cyprus Bank of Development, the Hellenic Aerospace Industry and Canada's Telesat. This satellite has a rather complicated history: It was ordered as Intelsat K-TV, then sold to New Skies as NSS K-TV, renamed NSS 6. New Skies terminated the contract. Intelsat in cooperation with Sinosat reacquired it as Intelsat APR3 (or Sinosat 1B), but this contract was again cancelled when no export licence for a launch on an chinese rocket was issued. Finally it was bought by Hellas Sat to be launched on an Atlas-5(401) vehicle.